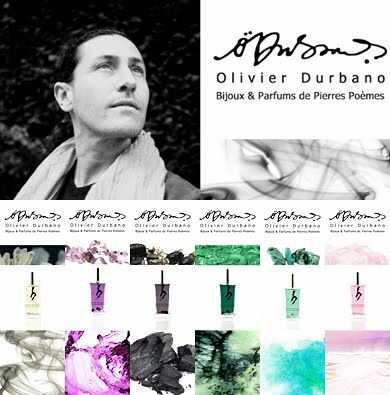 Ambassador of eye-popping bijox and otherworldly perfume, Olivier Durbano is set to launch his final scent in a series of seven olfactory "stone poems" inspired by his gemstones. This September, Durbano will release Citrine, an eau de parfum based on this quartz variety that ranges in colour from pale yellow to deep amber brown. A stone of success and abundance, Citrine promises to follow Olivier Durbano's tradition of creating unique perfumes of uncompromising quality. Whilst one might anticipate a scent based on citrus accords, Mnsr Durbano's ability to delight and surprise will simply keep perfumistas guessing until the end of the European summer. In the meantime, for those among us who can't wait that long, up for August release is Durbano's very first extrait de parfum. Olivier rectraces his steps and brings the Midas touch to the very first scent in his series, Rock Crystal. Boasting a very generous 40% concentration, Rock Crystal extrait de parfum will be presented in a luxury box and will be released in 30ml size. Olivier Durbano's six Stone Poems to date comprise of: Rock Crystal, Amethyst, Black Tourmaline, Jade, Turquoise and Pink Quartz.